So your show is underway, you’ve kicked the tires a bit, worked out some of the kinks and you’re starting to build and audience. Now it’s time to convert those listeners into subscribers and hopefully paying customers if that is your goal. (1) Contest – have a contest. You have something of value to exchange for their email and contact information. YOUR TIME for one – think FREE Consultation! Don’t forget, your guests are also promoting something. Don’t be afraid to ask them to donate something to the cause. Of course you can share the data with them so that they may follow up with the subscribers that listened to that specific episode, or you can do a one off email for them promoting their product or service, or include them in your newsletter (or get them to become a SPONSOR!). (2) Survey/Poll — people love to give you their opinion. We all know the old adage about what opinions are like! It’s true. Everyone has one. Surveys and polls are a great way to collect data, convert listeners into subscribers and to engage your audience. Rather than just do one survey or poll, consider doing a survey or poll that runs across several episodes to maximize it’s effectiveness and generate the most buzz. (3) Gift — almost the same as the Contest, but maybe everyone receives a free Ebook download from your or your guest, or a coupon or a special offer. You could even go as far as saying “The First 50 people get ……” — of course you can give away more than that at your discretion, but don’t be afraid to create some urgency to get those subscribers to claim their FREE gift (FREE being one of the most responsive and highly searched words on the Internet). (4) Exclusive Content – if you’re writing content in addition to your radio show as part of your content strategy consider offering some “Exclusive Subscriber Only Content”. (5) Private Webinar – you’re already a broadcaster who isn’t afraid to be in front of the microphone, consider to invite your listeners to a PRIVATE WEBINAR for subscribers only, and limited to a specific number. Webinars are useful when attracting listeners who are interested in your product or service, and highly interested in something specific. Converting listeners into subscribers doesn’t have to be hard. With a little creativity you can start building a list that not only will assist in building your audience, but build you a direct line to them that is worth tangible results. 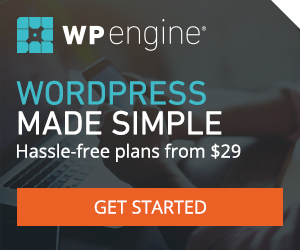 Everything above can be added easily to your website, blog, social media, email and more. ALWAYS cross promote your radio events, especially the ones that build your invaluable subscriber base. Planning and Preparation are the keys to a successful radio program. This week VoiceAmerica CEO Jeffrey Spenard and VP of Broadcast Operations Ryan Treasure will dive into show development strategies, how to develop an outline of activities, and how best to deliver topics, marketing, and potential guests to your audience. Guests this week include LA Lakers 2002 1st round draft pick Kareem Rush as well as VoiceAmerica Executive Producer Jeremy Bornman. Kareem will deliver his experiences playing professional basketball and how he has leveraged media for Finding his Frequency. Join us this week as we “Plan Your Strategy” and educate our audience on the benefits of planning and preparing digital content.In this episodes “101” tutorial, Jeff and Ryan will show you how to align your message through "Planning your Strategy". 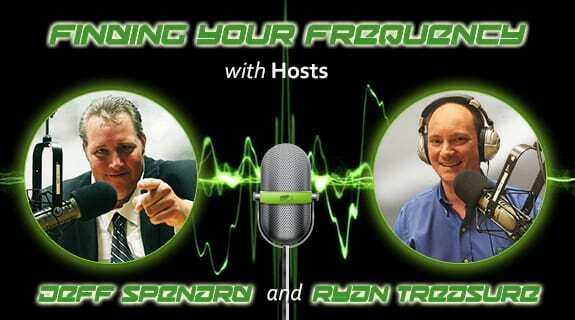 This week Jeffrey Spenard and Ryan Treasure will continue the series on the book “Finding Your Frequency” with chapter 2 “Defining Your Audience”. In this episode Jeff and Ryan walk through the questions to ask yourself when determining your audience and identifying the value points for the listener. Questions to focus on include “What does a listener gain from Listening?” and “How best to deliver an interactive program to the listening audience?”. Our guests this week include Mr. Randall Libero, Sr. Executive Producer at VoiceAmerica.com. Randall has over 25 years of media experience and will share his expertise for new and growing radio hosts. We will also discuss “Defining Your Audience” with Mr. Eric Zuley from Ezway Broadcasting who is listed in the top 10 social media influencer by Billboard weekly. Eric is a well-known producer, brand positioning strategist and TV host personality. In addition, Eric has interviewed over 2500 celebrities and public figures and is ranked on IMDB. EZWay’s distribution consists of Hollywood Weekly Magazine, WCBOM.COM, Fan TV Global Networks, Comcast, Dish Network, Amazon Fire TV, and much more! Tune in each week for Finding You Frequenct Live at 2 pm Pacific / 5 Eastern! If you happen to be a student of content marketing, broadcast promotion or just marketing in general then you’re familiar with the lastest buzz around Influencer Marketing. There are some good write ups which I’ll give you the links for in a moment, but the gist of Influencer Marketing is getting the trend setters on board with what you are selling or promoting. Here’s an in depth look at influencer marketing from Habooble Communications. For the most part, influencer marketing and the thought leaders in this space have focused mainly on “retail” type products — clothes, cars, entertainment … the things that make you look and feel COOL! But how does this translate into more listeners, more show brand awareness and hopefully more revenue for you. Here’s my take on it, and I welcome your thoughts and comments. Contact me to discuss, or use the comment form below to share with the rest of us. PIGGYBACKING – if done properly, and with some tact and a pre-written plan of attack you can leverage the popularity of a guest or a topic and turn their followers into your listeners. Start with the Guests that YOU would like to talk to, they are probably the same ones that your current and potential listeners would like to hear from as well. Get with their social media coordinator, their newsletter and PR people and get the word out to THEIR AUDIENCE about their upcoming appearance on your show or podcast. ASK THEM WHAT THEY WANT TO TALK ABOUT – often I’m asked a very reasonable question, especially from first time broadcasters “What do we talk about?”. When dealing with an Influencer, especially if they know they are one, and they always do, don’t try and guess, ask them. It doesn’t make you look silly or ill informed to ask the GENIUS what they’d like to talk about. Plus it gives you a handy playbook to make the show run smoothly. If you ask them for 10 things they’d like to talk about, or ten questions they’d like to be asked, trust me, you probably make it past FIVE! Ask them to send you the questions in advance of the show obviously, and let them know you are more than happy to talk about their latest book, course, conference, service or an article they just wrote for Forbes or BusinessWeek. FIND THE TRENDS – stay tuned because I’m going to in depth on a series of rock star tools to help you get in direct contact with the influencers, as well dig deep on finding the trends that will help catapult your listener numbers, bring you more exposure, and hopefully make you one of the influencers that other marketers start chasing after! But here’s a couple of good places to start. Google Trends – a good rule of thumb, when in doubt check with Google! Search Console (formerly Webmaster Tools) and Google Analytics will give you a lot of information about your listeners and site traffic, but Google Trends is another tool that can be helpful in a variety of ways, especially if your show includes news or updates on a specific vertical market, say entertainment or fashion or politics. One of the nice features is their Google Trends Subscription especially since it’s free. Many of you probably already avail yourselves of the tracking and almost “clipping” services Google offers that you might use to track mentions of your company or brand. The Google Trends Subscription takes it to a different and much broader level and is available in weekly and monthly digests. What’s Trending on Twitter: Twitter moves fast and in an almost freakish way. I’m going to go into this one in much more depth, but here are four great tools to see what’s trending on Twitter. TrendsMap has a free version (registration required), as well as two different monthly paid versions if you really want to drill it down. Hashtags.org has a basic trending report, more importantly a lot of solid lessons and tactics for using hashtags to get yourself involved in the conversation. WhatTheTrend is a new tool from HootSuite and in addition to tracking the trends, let’s you start your own trend…the more you get people to Tweet, ReTweet and use your hashtag the faster you can create your own trend. There are some rules you should be aware of before you get started. TallTweets has a trend tracker that’s centered around a clicakable worldwide map. While you are there, check out what www.talltweets.com is really all about — LONGER TWEETS …. they’re all about helping Tweet more than the standard 140 characters — essentially they truncate your essays, press releases, articles, etc. into multiple tweets that you can post in directly from Microsoft Word. You can even convert your Tweets into images using their TweetShot app.